State and Alert Scopes Criteria and Dashboards? 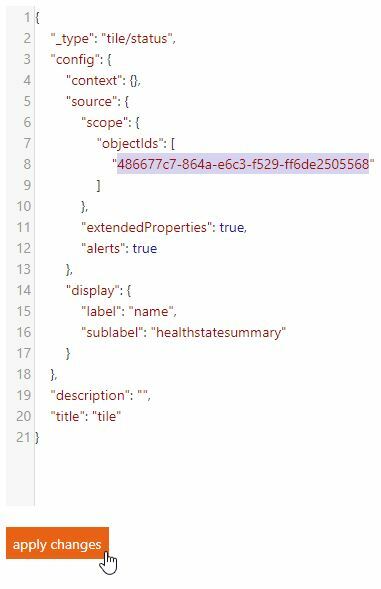 I want to be able to scope an alert view or a state view in SquaredUp to a single object of a class or in a group. In this case, it is a single SharePoint Farm. This presents a unique challenge, because we have Development, Test, and Production farms, which all share the same name in SCOM (i.e. Project_Config), but I want to build a dashboard that contains objects related ONLY to the production farm. So, using the criteria guidance, I tried using the group “Microsoft SharePoint 2010 Farm Group” and a criteria of id='<scomid of farm I want>’, but this doesn’t work, although the criteria usage docs indicate it would. I then tried it with the class “SharePoint Farm”, and still nothing. Searching for objects can be difficult when they have the same name, as Squared Up only returns eight objects, and prioritizes computer objects. There are some ways around this though. Excellent solution, thanks very much!